Haven't made plans for the Children's Day weekend? How about a having a picnic under-the-stars together as a family on 6th October, Saturday? Organized by U Family and supported by NTUC FairPrice, U Picnic is an evening under-the-stars event at the Marina Barrage for all ages, especially for families with young children. Sgraffito art workshops, bouncy castles, kite coloring and flying. Delicious local food vendors will also sell affordable dishes and desserts. 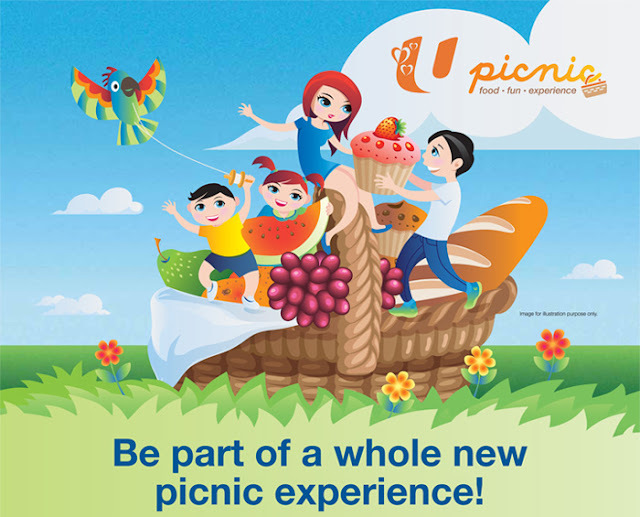 Families can also participate in the many U Picnic contests and stand a chance to win attractive prizes! Unfortunately, the event is already SOLD OUT. But wait, we have THREE tickets to give away! Each ticket admits FOUR people. And that's not all - each family will also be entitled to a U Family Picnic Basket on event day! Be quick though, as the contest closes on 25 September 2012, 2359 hours.